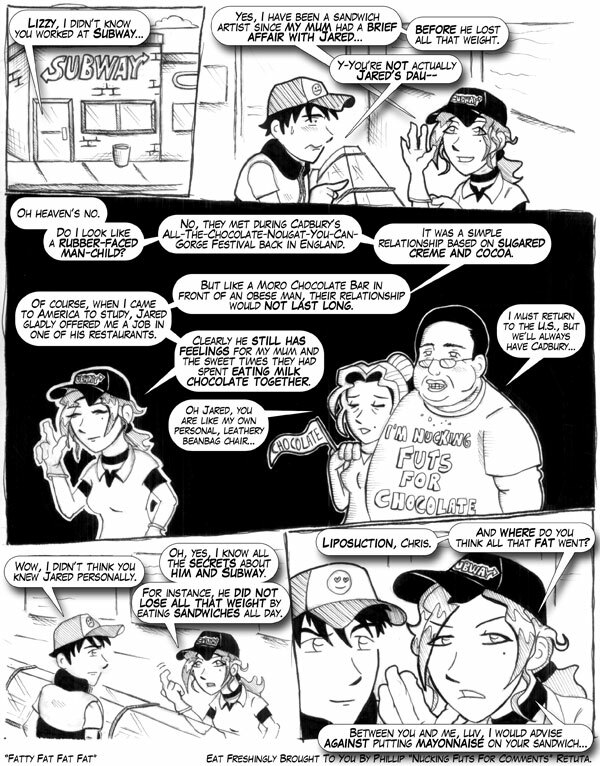 Part 3 of the “Occupational Hazards” Story Arc. A little bit more information on Lizzy’s personal life. Actually, it’s been quite some time since Chris’ unattainable love interest made an appearance in the comic. As for Jared’s cameo, doesn’t he look rubber-faced even after losing all that weight? One more thing: for all you web-savvy people out there, there is an RSS feed for the comic. You can either find it on the menu to the left or simply click here.